Staying in is the new going out; and when you have views as good as the one from your dining table and great company dressing up to go out can seem like a lot of hassle. We can help! With this in mind we’ve teamed up with our family friends the Surmans who live just down the road from us in Upton Upon Severn. As well as being a jolly nice family, they also happen to have an amazing organic meal business called Pegoty Hedge. 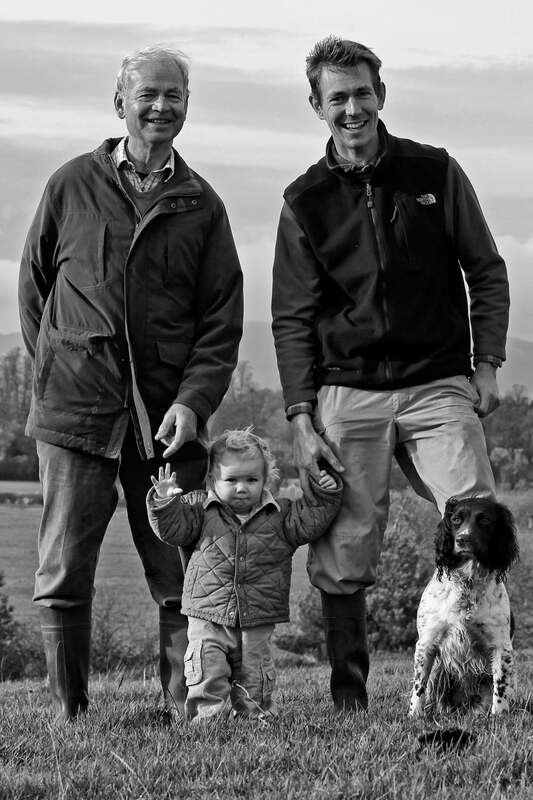 Their organic beef and lamb farm is in the shadow of the Malvern Hills and Bredon Hill close to the River Severn. This idyllic corner of Worcestershire with its fertile land and lush green pastures produces some of the finest livestock in the country. Farmer Oliver is the fourth generation of Surmans to farm on this gorgeous plot. He’s teamed up with a local gastropub chef to create the most outstanding, organic dishes for you to heat up at home. The meals are all organic and carefully made on their farm with their own Aberdeen Angus beef and lamb together with local fresh vegetables. They do not use any artificial colourings, preservatives or other ‘nasties’ so they really are ready meals without the guilt! We will send you the menu choice and order form along with your booking form so that you can prebook your meals before you arrive, and we will leave them in your fridge ready for your arrival. This lasagne is so homemade you’d expect it to have a kiss from mum stamped on the pack. Oliver farms beef but he loves his veggies and has plenty growing on his farm, as well as neighbouring farms. You’ve got aubergines, red peppers, mushrooms, all wrapped in a homemade sauce, layered with tender verde lasagne sheets and finished with a heap of melting cheddar and creamy white sauce. It’s absolutely delicious and a perfect partner for a salad made with some veggies from your box. It’s rich with lovingly reared organic beef from the Surman’s idyllic Worcestershire farm and it has a good handful of local veggies thrown into the mix – a bit of onion, carrot and celery (that wholesome trio that give dishes like lasagne oomph). It also has a good splash of red wine running through the sauce (essential! ), all wrapped in a homemade sauce and finished with a heap of melting cheddar and creamy white sauce. It’s absolutely delicious and a meal on it’s own. We do love Pegoty Hedge meal and this is one of our favourites. Their delicious farmhouse meals are as good as top gastropub nosh. As a bonus, they’re totally organic, from the meat right through to the vegetables and homemade stocks. Slow-cooked aubergine (they use British when available), organic lamb from their farm, homemade tomato sauce, a creamy layer of béchamel and a good sprinkling of herbs. The Surmans certainly know how to cook! So, if you’re looking for a night off, don’t go to the pub. Get one of these gorgeous dishes in. Fluffy English potatoes grown within view of the Surman’s idyllic Worcestershire farm cap this super fish pie, made from an old family recipe. All the fish in the pie is wild and sustainably sourced and caught using long lines. This cottage pie is whipped up to order (i.e. they make it when we put our/your order in to them!). It’s like having the finest country pub food delivered straight to your door. The steamy pies we sampled left us silent with joy. They have a good hit of spice, a rich wine sauce and a buttery, yet light and fluffy, mash! Perfect for those days when you’ve walked and walked and need something hot, delicious and quick. Pegoty Hedge’s organic ready meals are all lovingly made with no weird stuff added. This chilli con carne won’t blow your socks off, but the chilli will warm you up on a cold evening. 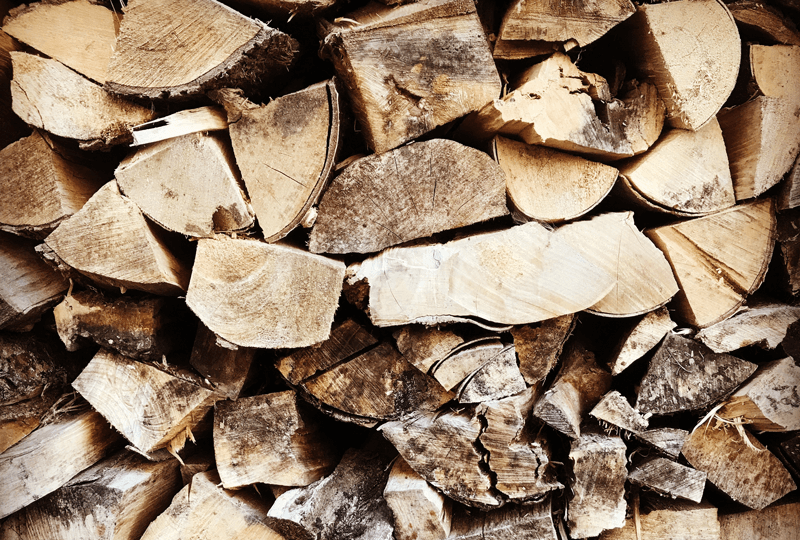 Our wood, kindling and firelighters are sourced locally from Certainly Wood; they only supply hardwoods sourced from local sustainable British woodland. Trees are cut as part of the natural thinning process to generate more light and a better environment for the remaining trees. The soap and shower gel is from our pals at The Little Soap Company, over in Broadway.